The ‘essential small print’. Please take time to read these booking terms and conditions. This information is important. 1 OUR PRIMARY INTENTION - Our primary intention is to ensure that everything works smoothly and that you enjoy your activity event from start to finish. We work with creditable and reliable third party operators to ensure the highest level of service and tuition possible. It is both their intention and ours to ensure that you have as enjoyable and memorable a break as possible. If you have any problems during your event/activity please bring this to the attention of the operator’s management who will make every effort to achieve a satisfactory solution. If you do not receive a satisfactory solution to your problem, please write to us at the address below within 14 days of your return. 2 MAKING A BOOKING AND PAYMENT – On receipt of the deposit a Booking Confirmation will be sent to you. Please read and sign the Booking Confirmation provided and return to Adventure North Wales, ensuring that all details are correct and that you have read and agree to these Terms and Conditions. Upon receipt of the Final Balance payment we will issue a Travel Pack detailing all necessary information for your activities and/or accommodation. This will be emailed approximately three weeks prior to your event. Please note that if you are booking within six weeks of your departure date the full cost is required. All conditions are binding upon us both. Booking conditions are binding upon you ‘the client’ and us ‘the agent’ under English and Welsh law. The person making the booking not only guarantees to us the total cost of the booking but does so on behalf of and with full consent of all persons for whom the booking is completed. Full payment of your balance as given in your confirmation must be paid by the date shown. Failure to make the Final Balance payment by the due date will constitute a breach of contract and Adventure North Wales reserve the right to cancel the booking and levy cancellation charges as detailed in Cancellation Fees below. Adventure North Wales will send you travel documents (where necessary) approximately 3 weeks prior to your departure date. 3 IF YOU CANCEL YOUR BOOKING - Should you or any member of your party need to cancel your booking, or part of it, once it has been confirmed, you must do so in writing. The charges you incur are set out below in Cancellation Fee and depend on when we receive the written notification. PLEASE NOTE: We recommend you take out personal insurance for your event. You may be able to claim on your insurance if your cancellation falls within the terms. 4 IF YOU CHANGE YOUR BOOKING - Requests to alter the details submitted on your booking form after confirmation can be made in writing or by telephone but we are not bound to comply with such requests, changes are subject to availability at the time of the request. An amendment fee of £15 per change may be levied when a request for an alteration is made. We will confirm the amendment by issuing a revised confirmation of booking. 5 IF WE CHANGE YOUR BOOKING - We will always endeavour to provide you with the event and activities that you have detailed on your booking form. 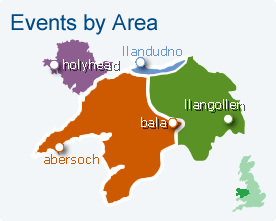 However it may occur that the event or activities have to be altered by Adventure North Wales for reasons beyond our control. We therefore reserve the right to substitute the event or activity with another of equivalent value (financial) chosen by our SUPPLIER at the resort should the original event or activity be cancelled for whatever reason. Minimum numbers may be necessary for some activities. The above is applicable if minimum numbers are not achieved. If this happens we will give you 10 days notice before your departure date. 6 OUR GUARANTEE ON PRICE - We guarantee that the price of your booking will not be subject to any surcharge. Once you have paid the full cost of your booking the cost thereof cannot be increased. 7 YOUR HEALTH AND FITNESS - All persons taking part in sporting activities should be in good health and have a reasonable basic level of fitness. You must advise us in advance of any disabilities, medical or behavioural problem experienced by you or any member of your party which might affect that person or any other guest during the activity/ies and/or stay/booking. We reserve the right to decline a booking or exclude any person at the time prior to or during the activity/ies, if in our opinion or the opinion of our chosen representatives / instructor that person is not compatible with the general enjoyment and well-being of the activity/booking. All candidates for waterbourne activities must be able to swim 25m in light clothing. All course and activity members must comply fully with the safety regulations of the centre staff. 8 AGE RESTRICTIONS - Persons wishing to participate in any activity, as defined by Adventure North Wales must be 16 years of age or older. Certain activities may impose an younger/older age restriction. Bookings can only be accepted from persons under 16 years of age when accompanied by an adult who will be responsible for them. All booking forms in respect of persons under 18 years of age must be countersigned by a parent or guardian. 9 OUR LIABILITY TO YOU - We accept full responsibility for ensuring that all the component parts of the holiday you book with us are provided to you as described in our literature or on our Website and are of a reasonable standard. If any part of the holiday arrangement is not provided as advertised, we will pay you reasonable compensation. We accept responsibility not only for the actions of our own employees but also for those of our agents, suppliers, and contractors, provided they were acting within the scope of, or in the course of their contract of employment, except where death, personal injury or illness results, our liability to you is limited to twice the cost of the holiday (excluding insurance premiums and amendment charges) of the affected persons. FORCE MAJEURE - We regret we cannot accept liability or pay any compensation where the performance or prompt performance of our contractual obligations is prevented or affected by reasons of circumstance amounting to “force majeure” including any event which we or the supplier of the service(s) in question could not, even with all due care , foresee or avoid such as (by way of example) war or threat of war, riots, civil strife, terrorist activity, industrial disputes, natural or nuclear disaster, fire, adverse weather conditions, technical problems with transport, closure or congestion of ports or airports, cancellation or changes of schedule by scheduled airlines and all similar events outside our control. 10 ACCOMMODATION – Adventure North Wales reserve the right at any time to substitute alternative accommodation at any time which may become necessary due to reasons beyond our control and undertake to inform clients or agent, of any changes as soon as possible. Where this involves additional expenditure such charges must be borne by the client or if the increased charges are not acceptable, a full and prompt refund will be given. Accommodation must be vacated by the times indicated by the hotel/accommodation. All clients must ensure that additional individual bills are paid by the stipulated checkout time. The client will use, occupy and enjoy the accommodation provided as part of his/her holiday with due care and in a proper manner without allowing the accommodation becoming unreasonably soiled. No items, fixtures or fittings shall be removed from the accommodation or be left outside at any time. 11 LAW AND JURISDICTION - These conditions form a contract between us which will be construed in accordance with English and Welsh law and it is agreed between us that each will submit to the jurisdiction of the English and Welsh courts. 12 BROCHURE AND WEBSITE DETAILS - The details published in our literature and on our website are given in good faith, but it must be borne in mind that factors such as weather conditions can sometimes affect the facilities described and the information is subject to change. Prices are subject to change at anytime. Any change occurring will be communicated before the contract is concluded. More than 42 days prior to departure the cancellation charge shown as Deposit. 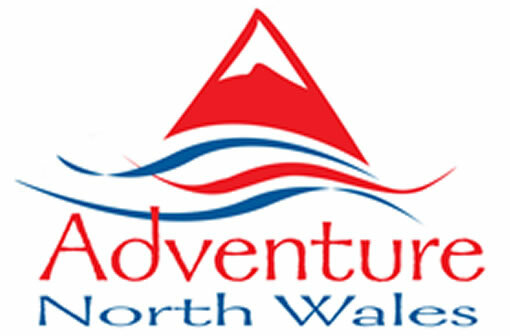 Less than 42 days when written notification received by Adventure North Wales loss of 100 % of monies. Booking less than £100 per person a £25.00 per person deposit.